This product traveled 2036 km to reach our warehouse. Food For Life Baking Company is a family-owned and operated specialty bakery with a passionate commitment to natural foods. 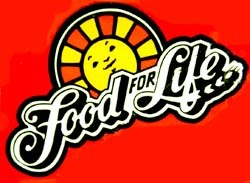 Food For Life originated in Glendale, California, in the back of a small neighborhood natural foods store known as Foods For Life Natural Foods. We were the first wholesale bakery in the United States specializing in natural foods, and we developed the first sprouted grain breads on the market with The Live Grain Difference! Our mission was clear: to produce only the highest-quality baked goods from the finest natural ingredients, for optimum health and nutrition. And, at a time when most commercial bakeries were saturating the public with highly-refined white breads, we took on a whole new direction. We only strived to make what nature intended, better! We achieved this through our exclusive sprouting techniques. As with any good product, word spread quickly, and we began to develop quite a loyal following for the products we produced. In the early days, customers would drive from many miles away to experience the unique flavor and nutritionally-superior qualities of the "Original" 100% flourless 7-Sprouted Grains bread. For over 40 years, we’ve been serving the health-conscious consumer with sprouted grain and all-natural bakery products with the same high quality customers have come to expect! Food For Life products are made with filtered water and are kosher-certified. Behind each Food For Life product are countless hours of research where we’ve developed exclusive baking processes to ensure proper moisture levels, texture and maximum flavor without losing vital nutrients and important natural fiber. 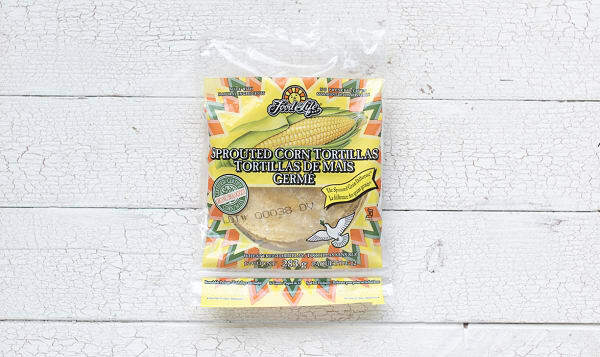 No conditioners, additives, artificial flavors, colors or preservatives are ever used.